List of actual available Campaigns and projects we are working on and the actual status of the particular project. 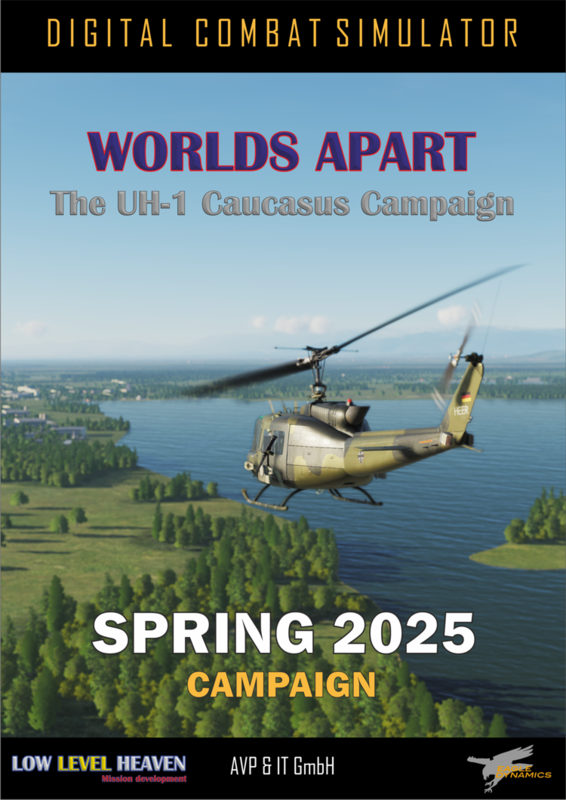 Soon available for DCS World 2.5. 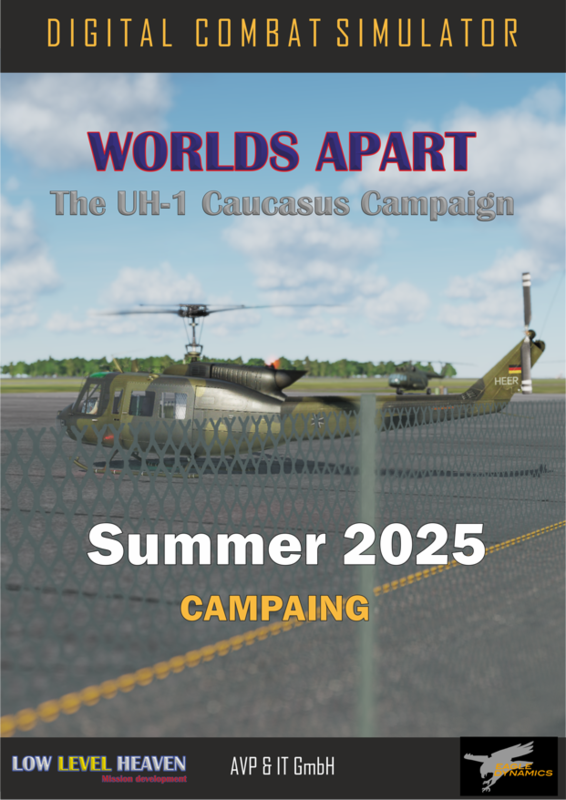 A story-driven campaign consisting of you in the role of a German Bell UH-1 Helicopter Pilot serving in the squadron “WOLF PACK,” a unit of the German Light Aircraft Group (Heeresflieger). You are Part of a four-person crew consisting out of your Commanding Officer Peter Berger, the two Gunners Hans and Tom and you (Frank), as the right seat Pilot. 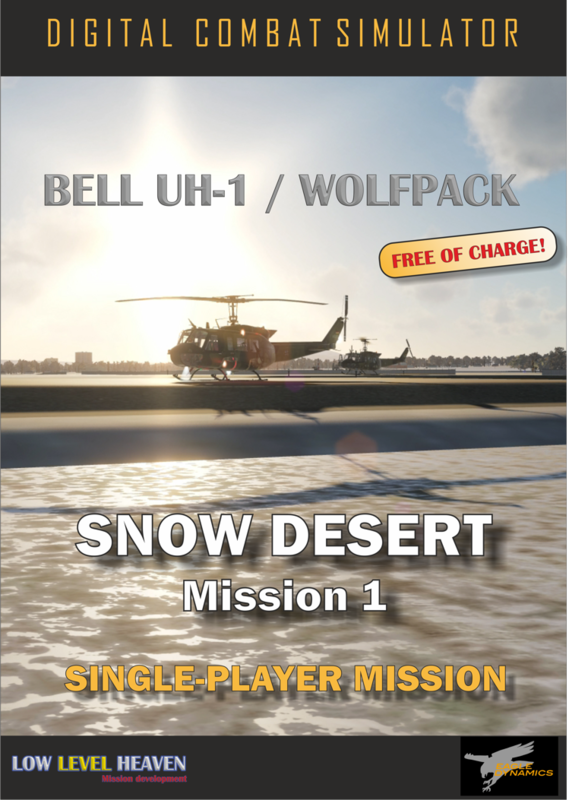 Fly combined missions, together with your squadron leader WOLF ONE and other Helicopter and Aircraft units. Missions combined with air and ground forces, as well as naval units out of different countries. You will conduct unarmed transport, as well as armed patrol and combat missions during the day and nighttime, regardless of the weather conditions. Voice actors with an American, German and Russian accent. Find mission-relevant information integrated into the Kneeboard files. 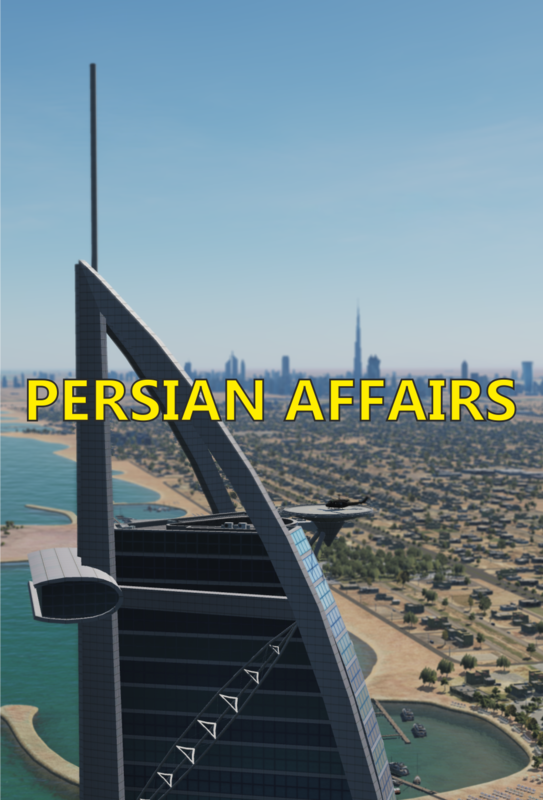 Available for DCS World 2.5.